What, you may ask, is the Himalayan? It’s a clean-sheet motorcycle design that incorporates a Harris brothers monoshock frame; a new, modern, long stroke 411cc ohc engine; a 21” front wheel and 17” rear; long travel suspension, and the looks of an adventure bike. Nothing is shared with the traditional Bullets. It’s a new design. The tag line for the bike is ‘Built for All Roads, Built for No Road’. That mantra, and the name ‘Himalayan’, gives you an idea of what the company envisaged for their new baby. Siddhartha Lal, Enfield’s CEO, talks at great length on the Royal Enfield website about how trips to ride in the Himalaya highlighted a need for a new design of bike to cope with the arduous conditions in the mountains, and how this bike was the answer to that need. He observed that the much-vaunted BMW 1200GS wasn’t ideal for the conditions in the mountains as it was too big, too heavy and too complex. 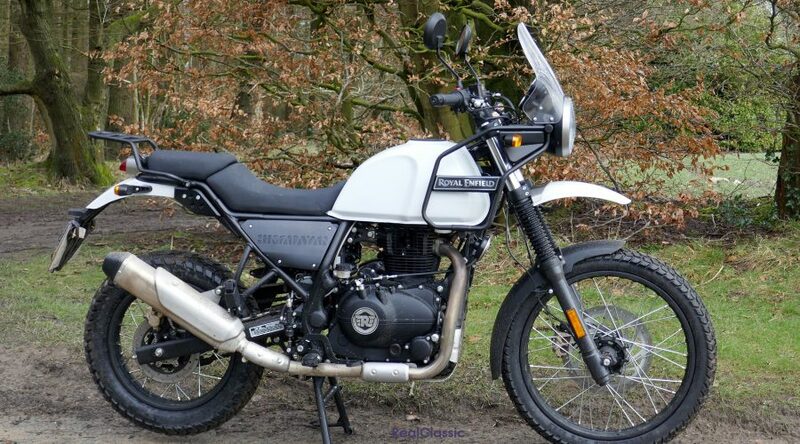 By contrast the Himalayan is built to be robust, durable, easy to maintain, light enough to manhandle if necessary, yet solid enough to cope with riding two-up in a vicious side wind. 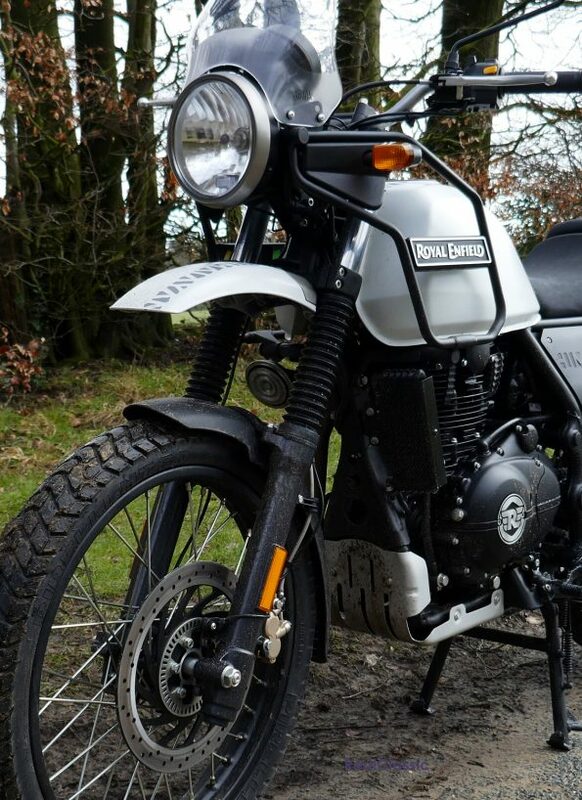 The new Enfield is intended to be equally happy on- or off-road, designed for day-long comfort, and it can be accessorised to be a round-the-world tourer. That’s all the aspirational stuff out of the way. What’s it like to ride? I had a chance to take out the demonstrator from DW Motorcycles in Scarborough (01723 366083). The Himalayan had only just been put on the road; in fact it had been on the road for 111 miles. With that in mind, you won’t be surprised that I have no idea what the top speed of the bike is, (90mph is claimed), but I’m getting ahead of myself. When the bike was wheeled out of the shop it looked rugged and purposeful, slim and manageable. I have a Honda CRF250L and climbing on that requires a mounting block or a certain athletic ability. The Enfield isn’t like that at all. Out of the shop the bike was put on its centrestand and the engine started. From cold there is a lever that will hold the revs up, much like a choke lever would do for a bike with a carburettor. A more sophisticated injection system would do that for you, but it isn’t hard to use. The bike warms up quickly and then the lever can be ignored. Sitting astride the Enfield, you notice how slim it is and how easy the 185kg is to manage. At 5’11” tall I was able to sit flat-footed with a slight bend in my knee; just how I like it if I have to hold a bike up on an awkward surface or slope. From the steady tickover to the comfortable seat, to the manageable dimensions, to the feeling of solidity, the Himalayan conspires to make you feel comfortable and confident. To use a motorcycling cliché, the controls fell readily to hand. If you have ridden a modern bike then none of the controls will cause you any surprise. In fact, the hand and foot controls were unremarkable in a very good way. They worked, without fuss or drama. In fact, that phrase could be used to describe the bike: it works, without fuss or drama. Time to get moving. Pull in the clutch, drop it in to first gear. The neutral light goes out and the gear indicator signals ‘1’. A few revs and off you go, into the traffic. The footpegs are just where you would expect them to be and offer you a roomy, relaxed riding stance. The exhaust provides a pleasant if muted exhaust note. Initially the 21” front wheel feels as if the bike is reluctant to turn; that feeling lasts until the second corner when you stop noticing it and the bike gets on working, without fuss or drama. Change into second; the gears swap smoothly and sweetly, even on such a low mileage bike. Third gear now and it was time to dodge a suicidal pedestrian. That highlighted two things: the brakes are good and progressive, and the chassis is agile and intuitive. Works, without fuss and drama. I was keen to try the bike at higher speed, so I hurried out of Scarborough. Trundling out of town I had time to inspect the clocks. There was a big, easy to read speedo. A smaller tachometer; as a yoof all my bikes HAD to have a tacho, now I wonder why. I can tell you that it red lines at 6.5k rpm and, and well… not a lot else, really. The engine was delightfully smooth and so the tacho was superfluous, but I’m sure it will be well received. There was an electronic compass. Not something I’ve missed on any of my bikes, but it was there. I thought I’d spotted a fault: the letters in the compass said NW, whilst the arrow was set a five-past the hour, then I realised that the arrow was pointing north all the time, rather than to the ‘NW’ point on the bezel, which would have been five-to. 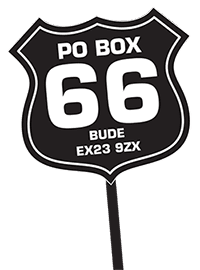 There was a gear position indicator, a total mileage odometer and more than one trip odometer. 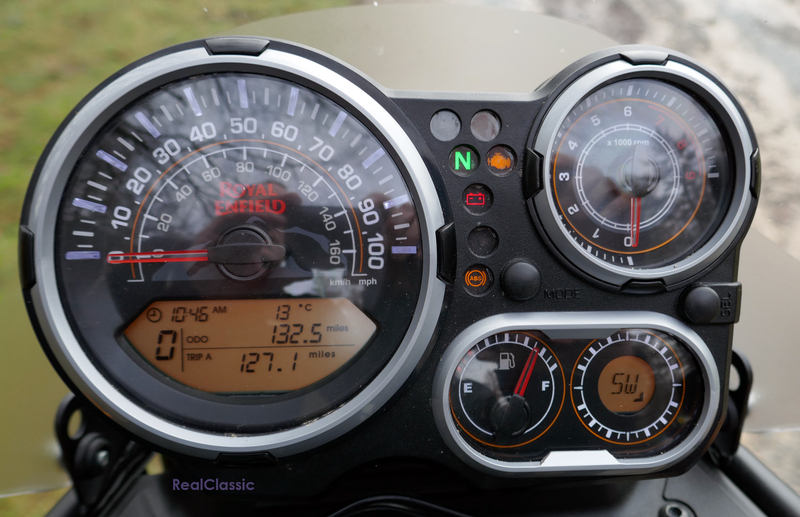 There was a fuel gauge, and a clock: both useful things to have in my experience. Finally, there was an ambient temperature gauge; now this I really didn’t believe. At various times it read anything up to 18°C. I know that the locals refer to Scarborough as Scarbados, but I can categorically say that at no time was the ambient temperature anything like 18°C! Although there is a lot of information on the clocks they are intuitive and easy to read. Works, without fuss or drama. By now I’d reached the outskirts of town and a section of de-restricted road. Remembering that this is a engine that had only just covered 100 miles, it romped up to an indicated 60mph and felt like there was more in hand. Again, the engine was smooth – that is without qualification; it wasn’t smooth for a single cylinder bike, it was smooth. The riding position was comfortable. The screen was effective. It was a happy place to be. The bike works … I think you get the idea. As I ventured further out of town I encountered Cloughton Bank, which always seems desperately steep when I cycle up it. Here the Himalayan showed part of its design specification. Although the engine is rated at 24.5bhp, which is virtually identical to the Honda, it is has 32Nm of torque compared with the 22Nm that the Honda can muster. This is partly as a result of the extra 150cc and partly as a result of the long stroke design. The net result is that up a long, steep hill the Enfield will hold a higher gear whilst the Honda will have you tap dancing on the lever. It is brilliant: predictable, confidence inspiring and comfortable. 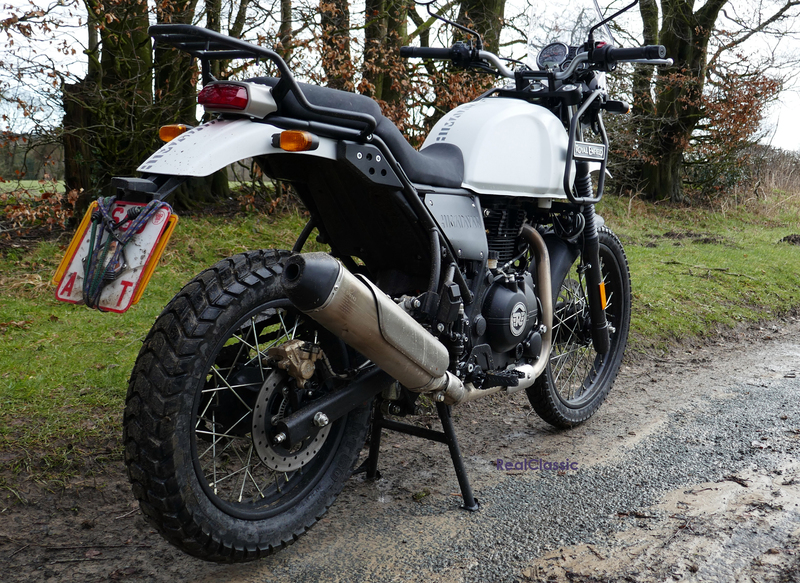 The bike was fitted with on/off-road Pirelli MT60 tyres that seemed to be rock solid on the road and looked suitably butch to enhance the hardened adventurer look. I would say that the chassis can cope with a lot more power and speed than the Himalayan is likely to dish out, which has to be a good thing. The next thing that happened was I turned off the main road onto a minor road. One of the delights of rural North Yorkshire is that we have self-gritting roads. After significant amounts of rain, the roads become covered in bands of gravel, not to mentions various deposits from the flora and fauna, usually at the most awkward points on the road. This particular road was awash with grit. I was more than a little unnerved. The bike was completely unfazed. Have I said that it works, without fuss or drama? So, the Himalayan works well in town, works well on A-roads, works well on pot-hole infested unclassified roads. What next? Yup: that was close to all types of road, so next had to be no road. Bear in mind three things: this wasn’t my bike, it was virtually new, and I’m rubbish off-road – do you think I headed for the local motocross track? Nope! I did, however, try a couple of the local forestry roads. What did that show me? The bike is very capable. The previous day and most of the night there was a downpour of biblical proportions which had left a very slimy surface and one or two flooded areas. 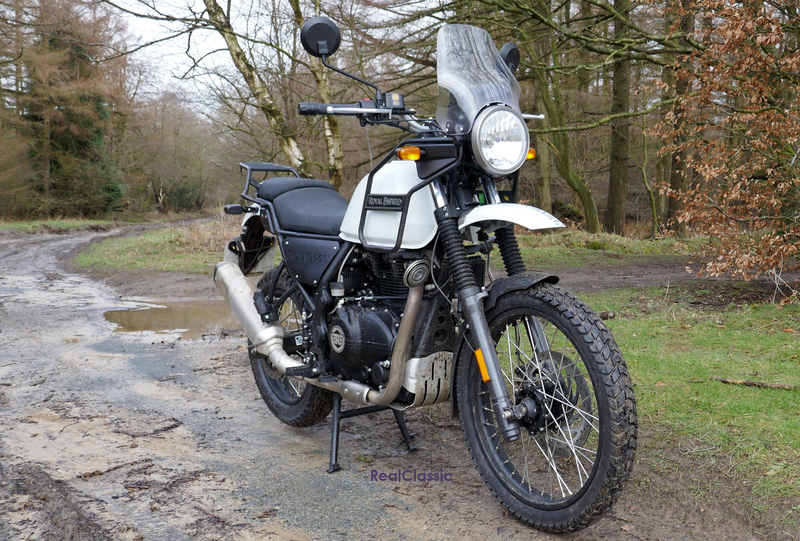 The mighty Himalayan cruised through without missing a beat. It did highlight a small niggle or two: when you stand up on the pegs your right heel is obstructed by the exhaust pipe which means you have to adopt a pigeon-toed stance. The second isn’t so much a niggle as an observation: the front mudguard isn’t suitable for proper off-roading as it is too close to the front tyre and would easily clog with clart. To summarise, within the limits of the machine, off-road it works, without fuss or drama. If you know the Scarborough area you’ll know that it is quite a long way to the nearest motorway; even dual carriageways are in short supply. Knowing this you won’t be amazed that I didn’t test the Himalayan on either a motorway or even a dual carriageway. I’d expect that it would cope, but it isn’t where the bike will excel. Mind you, when I’m on two wheels motorways are to be endured if necessary, not sought out. 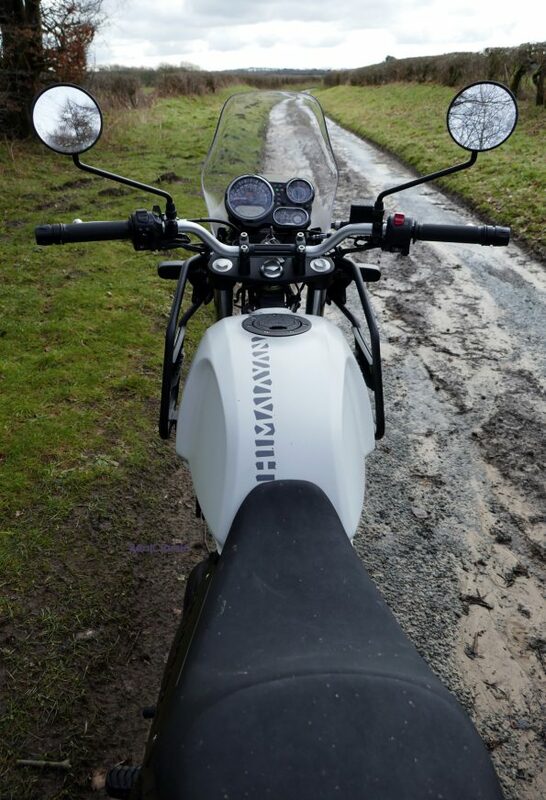 In common with other Euro 4 compliant bikes the Himalayan is fitted with ABS. Other than the presence of a light on the dash, the ABS was unnoticed by me. If it activated when I was off-road, or even when I was braking for the suicidal pedestrian who stepped out in front of me, I did not notice. Mind you, I don’t try to test the braking systems to the limit on my bikes: the consequences of miscalculation are unpleasant. Back in the bad old days Enfields from India had a dreadful reputation for their build quality. Over the years the company has striven to improve the quality of their product. Now the bikes are built to a high standard. What do I mean by this? 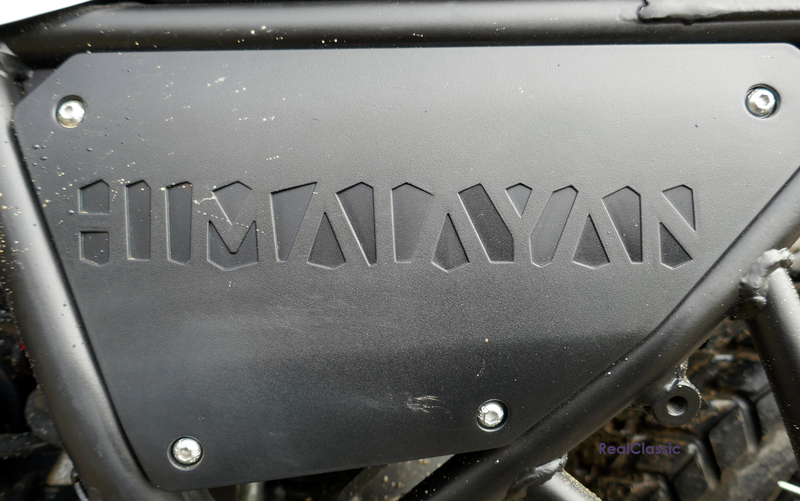 Given the price, which I will come to in a moment, the Himalayan is equal to or better than its competitors for build quality, specification, and design. The bike is well screwed together, the materials used are of high quality, the features compare well with motorcycles that are considerably more expensive, and the bike feels as if it will give many years of service. 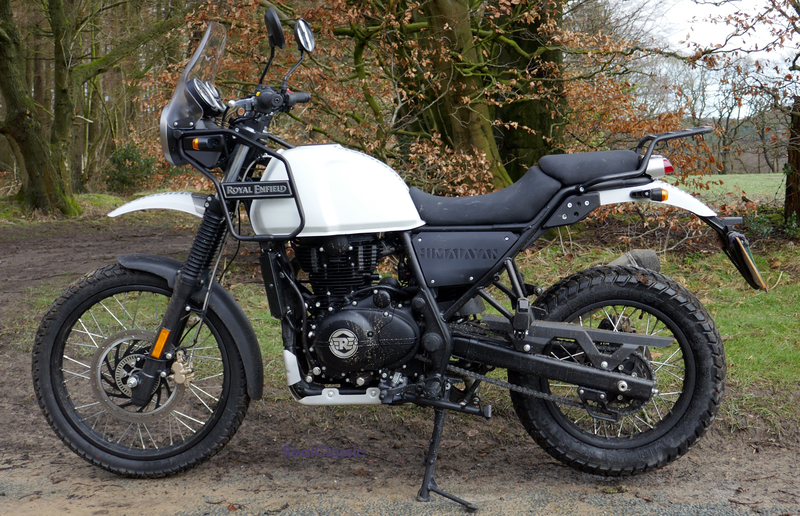 What impresses me is that the Himalayan is only £3999. What a bargain! Would I buy one? Like a shot (if I hadn’t become impatient waiting for the Himalayan to arrive and bought my Honda CRF250 instead). Do I like the Himalayan? Yes, I do! 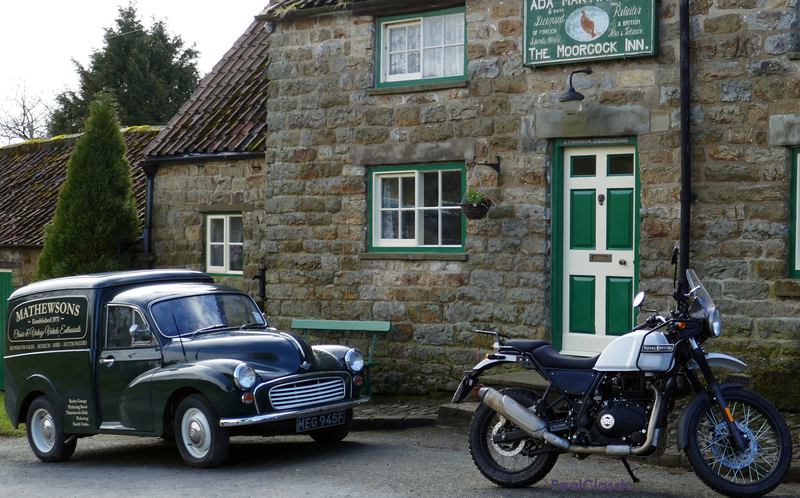 It is great fun to ride and … I’ll say it again … it works, without fuss or drama. 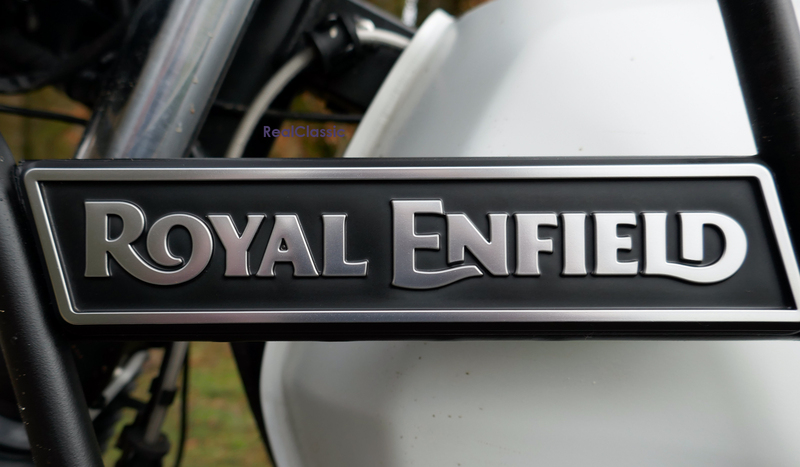 Congratulations to Royal Enfield for creating a brilliant motorcycle. 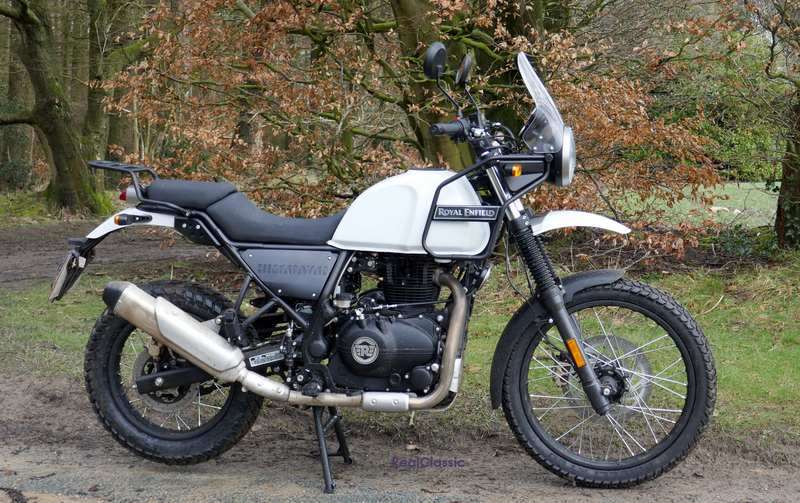 If you like the adventure styling, want a good fun, capable, comfortable motorcycle that is as happy in the heights of the Himalayas as it in in the hubris of the High Street, then buy one of these.